In the late 1980s, the founder of the breed, Eddie Harrison, bred several mixed-breed rescue dogs of unknown origin or heritage with Siberian Huskies, Alaskan Malamutes, and a specific bloodline of White German Shepherds to produce the early Northern Inuit dogs. 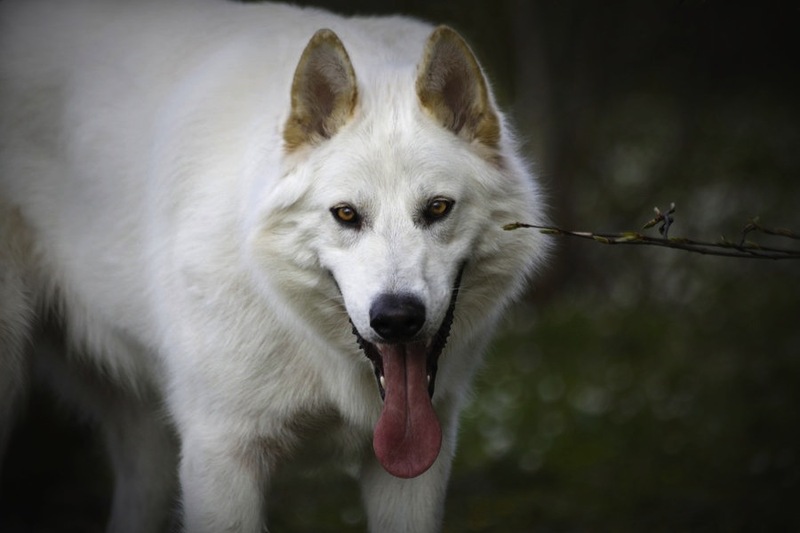 The breed’s intent was to create a dog that closely resembled a wolf in appearance while possessing the gentler, more trainable character of the domesticated dog. Another story relating to this breed is that a few Canadian Eskimo Dogs or Labrador Huskys were brought into the UK from the USA in the late 70’s or early 80’s and crossed bred with Alaskan Malamutes and German Shepherds. 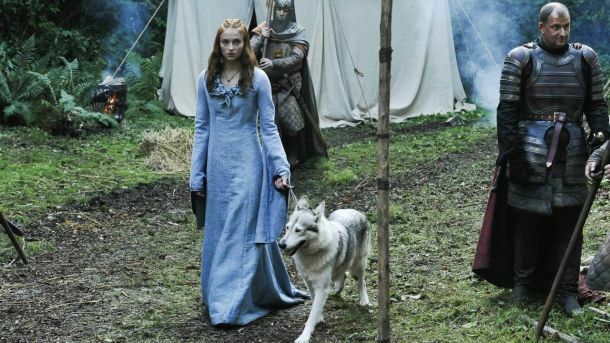 In 2011 Northern Inuit dogs were cast as the direwolves in the first season of the HBO TV series Game of Thrones based on the book series A Song of Ice and Fire by George R. R. Martin. Northern Inuit Dogs are intelligent, independent dogs, which can make them more difficult to train than other, more biddable breeds. They are not recommended for inexperienced owners. They are good with children, but as with all dogs should not be left alone with them. They are very loyal and pack-oriented, forming close bonds with their owner and family. Separation anxiety may arise when they are left alone and unsupervised too long, leading to destructive behaviours but training to be left from a young age will rectify this . Training from the onset is a must for this breed. Often, they will do better with another dog for company. Socialization should begin when vaccinated and throughout as their play can be very rough and misinterpreted. The Northern Inuit dog is known to be friendly and rarely shows aggression. They are the most versatile of dogs, but they are not for the novice owner as they can be very stubborn and are very quick-witted. The owner of an Northern Inuit must show themselves to be a strong leader or be prepared to be the underdog, and be taken advantage of. A positive training approach benefits both parties. Share your Northern Inuit Dog story. 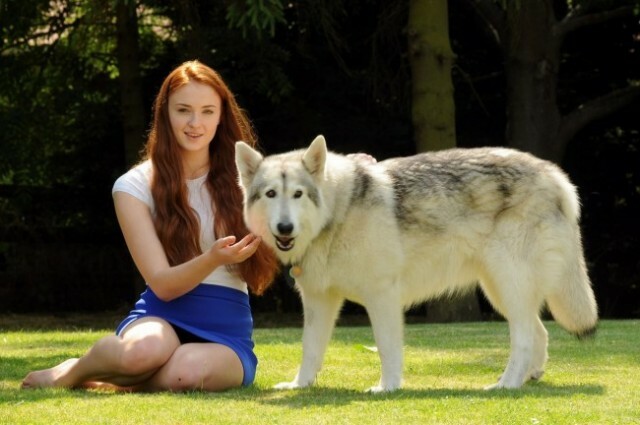 Note: Upload only Northern Inuit Dog picture or your picture with Northern Inuit Dog below - spammer's ip may be blocked. 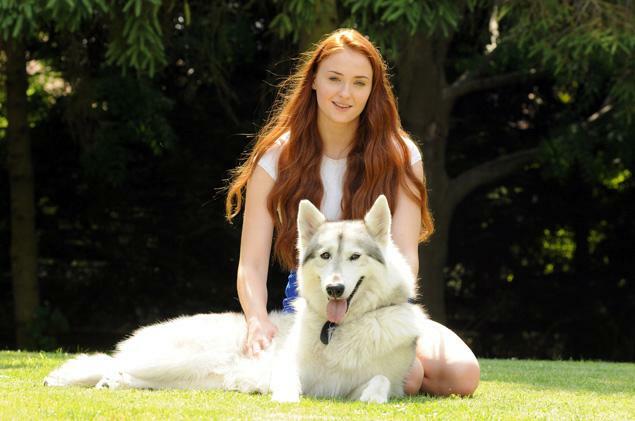 Sophie Turner and her pet dog Zunni – she adopted Lady from the Game Of Thrones series. It is a Northern Inuit Dog.